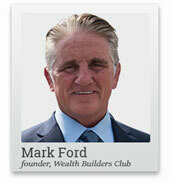 I've never seen anything like the Wealth Builders Club. It goes into so many aspects of wealth, and does so in a very thorough manner. Thanks for your help and the help of all the others who've made this possible. �- Club member BT. Equitymaster requests your view! Post a comment on "Don't Believe These Lies About Creating Wealth". Click here! 2 Responses to "Don't Believe These Lies About Creating Wealth"
408062262 - You are so correct - The Bankers, the Government that they organised and their own press that tells you how you should be thinking are influencers with themselves at heart - I was once told by a Multi-Billionaire whilst having coffee that the actual was like the Eiffel Tower - Us at the top and you (me and you) at the bottom and that is how we plan to keep it- Very few of "us" will join them but with advice from places like the Wealth Building Club you will have, with courage, an opportunity to "Lift your Living" Bon Chance.